This isn't Riley Hanson's first rodeo. 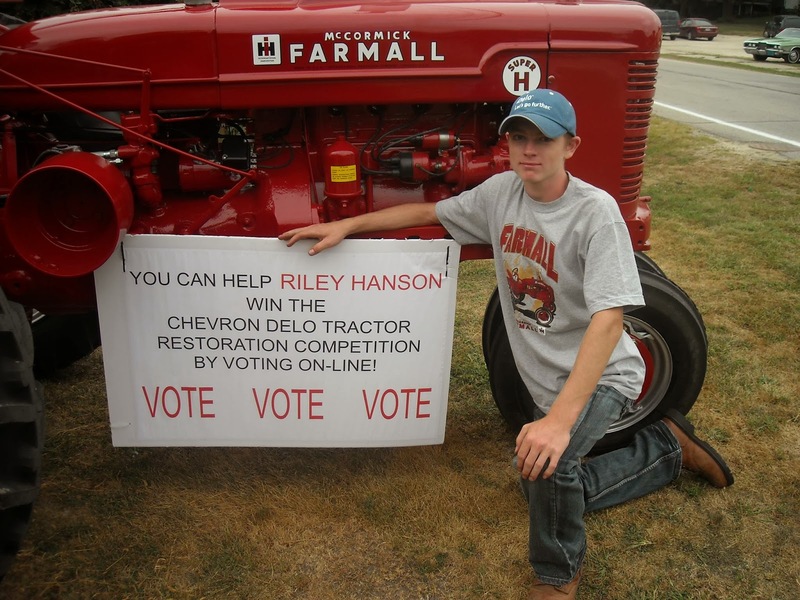 The Melrose-Mindoro high school student has been to the Delo Tractor Restoration Competition before and knows how intense it can be. The cool part is that we can actually help him, just by casting three votes per day for him. Pretty inspiring, isn't it? It's neat to see a high school student have such a wonderful labor of love, but it's even better when a community can throw their support behind him! So PLEASE take some time each day to cast your three votes for Riley. He is the only student in the competition from Wisconsin! Here's the link to vote. GO RILEY!! !